Apartamentos Mare price per day from € 25 Mare Apartments are located on the slope of Nazaré, a 10-minute walk from the sandy beaches and the picturesque town’s centre. 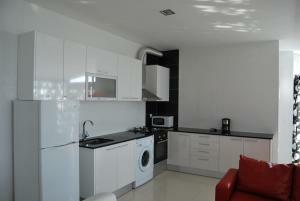 The spacious and colourful apartments are simply decorated and have tiled floors. In Nazaré you can enjoy activities such as surfing, sailing, paragliding, biking or dolphins watch. Apartamentos 7 saias price per day from € 144 Offering a great view over the sea, Apartamentos 7 saias provide guests with a playground, a garden and an outdoor swimming pool. 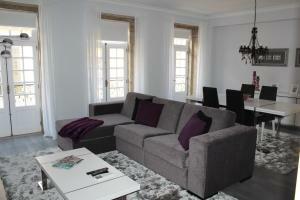 These Nazare apartments offer free WiFi in some units. Guests can enjoy the pool, and the younger ones will have fun and make new friends in the playground..
Muralha - Holiday Beach Apartments Located in Nazaré, Muralha - Holiday Beach Apartments offers an outdoor pool on top floor terrace and panoramic views of the sea. The apartments will provide guests with a flat-screen TV, a DVD player, a balcony and a seating area. Apartamentos Augusta 109 Located in the heart of Nazaré, Augusta 109 Apartments are elegant, spacious and offer free WiFi in all areas. Guests staying at Augusta 109 Apartments will be able to prepare their own meals since each apartment features a fully equipped kitchen that open to the living room and dining area. 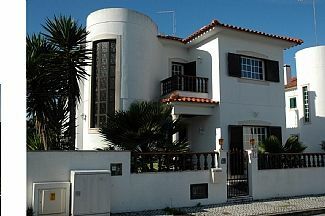 Casa do Joaquim da Praia price per day from € 55 Casa do Joaquim da Praia offers apartments located in the typical Fisherman’s Neighbourhood in Nazaré, a 3-minute walk from the beach. Individually decorated, combining traditional and modern elements, each apartment can accommodate 5 persons and is equipped with a flat-screen cable TV and a PlayStation upon request. Quinta da Falca price per day from € 55 The Quinta da Falca is located in scenic Falca Beach and features access to an outdoor salt-water pool with Atlantic Ocean views. 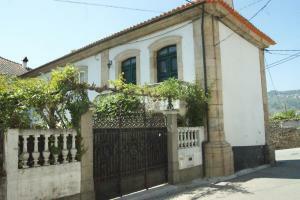 The tranquil property is a 13-minute drive from the centre of Nazaré. The fully-equipped kitchen or kitchenette of the self-catering homes mean that guests can choose to cook their own meals in the comfort of their accommodation..
Villa Florencia Villa Florencia is a 2-storey, semi-detached house with 3 bedrooms in Nazaré. This pet-friendly unit offers free WiFi access and a private patio with barbecue facilities. The kitchen has all the utensils to prepare meals and a barbecue area is outdoors, in the furnished patio. 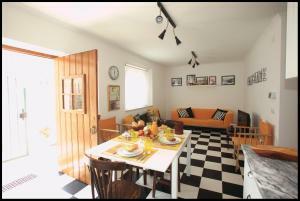 Nazaré Hostel price per day from € 25 Just 100 metres from Nazaré Beach, Nazaré Hostel features modern decor and wall murals. The rooms all come with a minibar, seating area and desk. 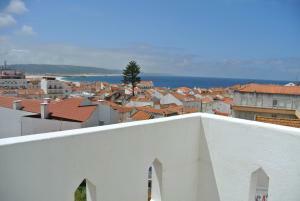 Nazaré Hostel is only a 5-minute walk from the Nazaré centre, where there is a variety of restaurants and cafes. Hotel Mar Bravo price per day from € 55 Featuring a prime beach front location on Nazaré main avenue and overlooking Nazaré Beach, Hotel Mar Bravo offers a seafood restaurant with sunset views and free parking. The air-conditioned rooms at Hotel Mar Bravo are bright and airy. Many include a private balconies with Atlantic-Ocean views. Hotel Mare price per day from € 48 Situated less than 100 metres from the beach, Hotel Maré offers rooms with balconies and free Wi-Fi. The breakfast room has panoramic views of the town and Atlantic Ocean. 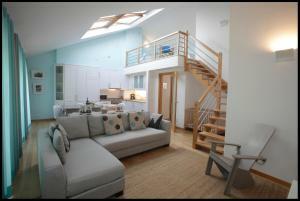 Each is equipped with air conditioning and has a private bathroom with a hairdryer. Hotel Cubata price per day from € 35 Hotel Cubata is located in front of the ocean and the beach, just 25 metres away and a 5-minute walk from the Nazaré centre. Ideal for beach-goers, it is a short 2-minute walk from the Nazaré Lift, which connects to the Sítio da Nazaré, with its panoramic city views. The rooms also include a flat-screen satellite TV and free WiFi access..
Church Nossa Senhora da Nazare, Nazare, 0.7 km from the centre of town of Nazaré. Monastery Batalha, 22 km from the centre of town of Nazaré. Vila Natal, Obidos, 26.3 km from the centre of town of Nazaré. Grande Mercado Medieval de Obidos, 27.7 km from the centre of town of Nazaré. Church Sao Pedro, Obidos, 27.9 km from the centre of town of Nazaré. Museum Obidos, 27.9 km from the centre of town of Nazaré. Santa Maria Church, Obidos, 28.3 km from the centre of town of Nazaré.